Transfer paper for colour laser printers and copiers - apply with heat-press. To print and personalize cardboard jigsaw puzzles. Ideal for pre-cut puzzles- glossy photo effect. Suggested for prints on rough surface cardboard. Copy or print the suggested side (glossy) of FC LUX50 03 /04 (printable peel-off transfer paper for puzzles) inserting it from the by-pass. Use "mirror effect" and set printer to thick-paper or cardboard mode. 1) Set the heat-press to 190°C. Place a sheet of heat-resistant paper on the platen, the blank puzzle and another heat-resistant paper and press for 4-5 seconds to get humidity out of the cardboard. Take away the heat resistant paper. 2) Separate the printed film from the paper backing and place it on the puzzle with the toner side on the puzzle. 3) Protect with a new sheet of heat resistant paper and a silicone mat (MA STUOI RB). The white (smooth) side of the MA STUOI RB mat must be facing downwards. 4) Press at 190°C for 120-150 seconds depending on the printer or copier used. Use maximum pressure. 5) Let the puzzle cool down completely and then take off the transparent film. The image should be glossy and have photographic effect. 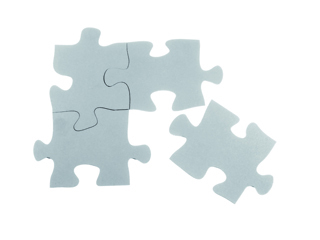 Note: If the cuts around the edges of the puzzle’s pieces are too evident, increase pressing time. If the toner looks "out of focus" or "burnt" reduce pressing time. FC LUX50 has a light backing paper and is not an all-round, universal product. If you have trouble when printing or copying, try with FC GLOSS. Ask your dealer. Available in 100 sheet boxes in A3 size. A4 size available on request.